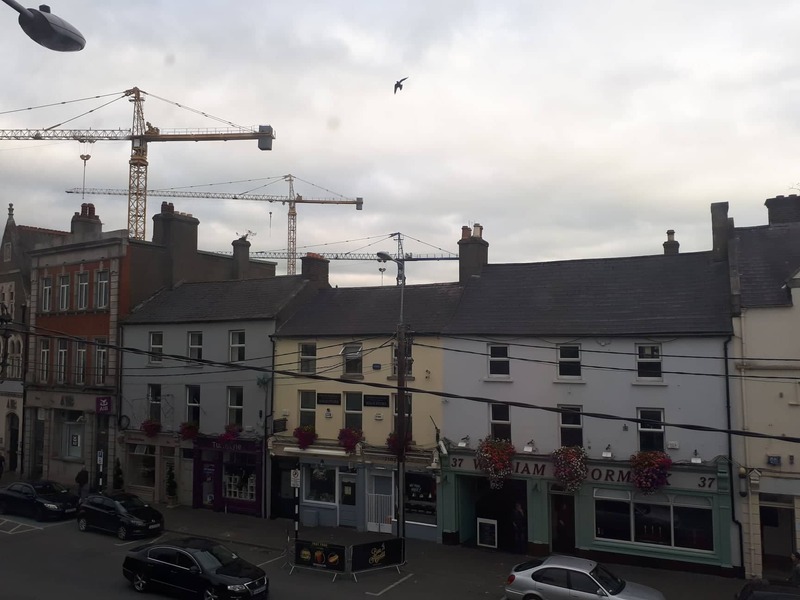 Work has started this Friday evening on the dismantling of three cranes which have been in place over the unfinished Naas Shopping Centre for most of the past decade will come down this weekend. Traffic restrictions are in place around St Corban's Lane. Owned by NAMA, an operation by construction giant BAM will begin in the morning to remove the cranes. The three cranes haven’t been operational for more than a decade now, leading to safety fears and a good deal of criticism over the unsightly appearance of the huge structures. The cranes are located just metres off the main street and equally close to the 1,000 student Naas CBS. Kildare County Council has previously said that the structures are subjected to regular safety checks. 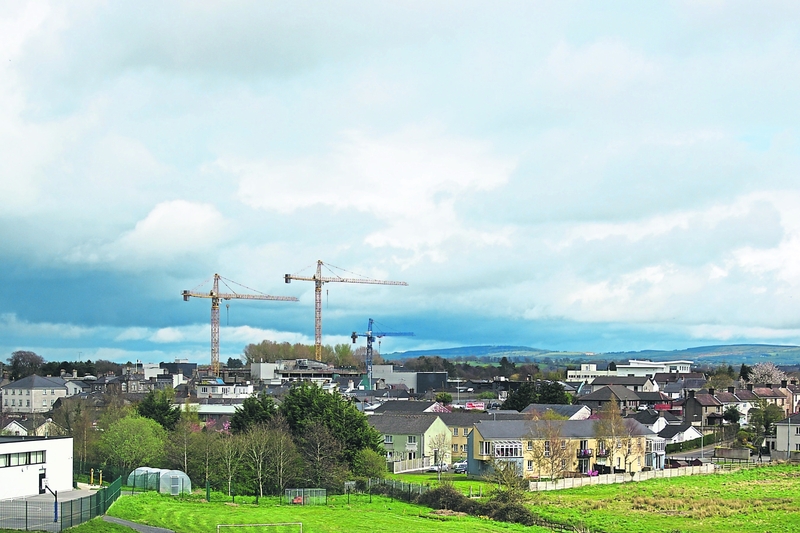 Valued at €100,000 each in 2013, the cranes have been certified as safe up to fairly recently and certificates endorsing this have been provided to Naas Town Council when it existed and Kildare County Council. A year ago KCC indicated that the developer inspects the cranes every six months; but that the Council has no role in this and it's not necessary for safety reports to be provided to KCC. The council commented on Friday morning that the "substantial portion" of the work to take down the cranes would take place this weekend. The news of their dismantling this weekend was welcomed by Deputy James Lawless, who noted: "They won't be missed."